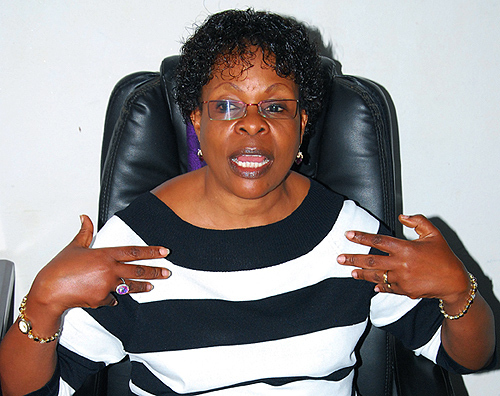 The Daily Monitor of May 16 published a story titled “US to (African) leaders: Stop clinging to power”, which was attributed to Linda Thomas-Greenfield, the US Assistance Secretary of State for African Affairs. The official advised African leaders about life outside president’s office. With respect, I find her advice patronising. In 2007, the Mo Ibrahim Foundation established the $5M award for any African head-of-State who would give up power willingly. Joaquim Chissano, Festus Mogae and Nelson Mandela, former presidents of Mozambique, Botswana and South Africa, respectively, have claimed the prize. Since 2009, the prize remains unclaimed! Ms Greenfield should address herself to why African leaders cling to power while American leaders do not. The presidents of the USA, South Africa, Tanzania or Prime Minister of Britain do not cling to power even if they wanted to, because they can’t, yet the presidents of Singapore, Uganda and Rwanda have clung to power because they can. Julius Nyerere, Nelson Mandela, Joaquim Chissano and Festus Mogae relinquished power because they chose to, not because they had to. But should a country’s fate be left to the whims of a president? Many heads of state around the world would like to stay on longer and would if they could, but they can’t. The reason between those who can and those who can’t cling to power is what makes the difference between the West and most of Africa. Africa needs a system as that of the USA, where it is not up to the president to choose to leave power or not, which is what Greenfield advised, but to leave power when one must, through term limits, elections or impeachment. I have argued through this and many fora that instead of financial aid, the USA and other development partners should help us construct such a system in Uganda. In the UK, an election is worn by a political party, not the Prime Minister, so the party has power to indict the PM. Margaret Thatcher and Tony Blair were indicted by their respective political parties, not the ballot or term limits. Because of their federal system, the president of the USA has little influence over what happens in the States, his / her real influence being on foreign affairs and defence. In Germany, Australia and Canada, power is shared between the Head-of-State, Head-of-Government and regional governments. In Tanzania and South Africa, real power is with political parties, CCM and ANC, not the president, that’s why ANC was able to force President Thabo Mbeki to resign. In 2010, Kenyans overhauled their ‘independence’ constitution through a national referendum, the pPresident’s authority was significantly trimmed, thus s(he) no longer appoints the Electoral Commission, Inspector General of Police, Chief Justice, Judges and Governor of Bank of Kenya, among others. In addition, power was devolved to counties. The president of Kenya no longer has clout to choose or not to leave power. But in Uganda, 75 per cent of the Constitution gives the president power to appoint all senior public officers, propose how the National Treasury should be used, propose Bills for parliament, consent or not to the Bills passed…. to practically be an ‘Imperial President’. Of the 19 Chapters of the Constitution, 13 empower the president to make or break anybody, hence, unprecedented patronage! If the USA wants African leaders to give up power when they must, instead of handouts, they should help us to construct a system that trims the influence of the president and denies them the liberty to choose when to go, but to go when they must.